It appears that Standard Bank is developing a Bitcoin trading portal of some kind. A discussion forum on Reddit suggests that a company called Switchless developed a “full operational and integrated Bitcoin portal system” for the South African-headquartered multinational banking group. Screenshots of the internal pilot system were reportedly showcased at the Finovate Europe 2014 conference that took place in London on 11 and 12 February. If true, it makes Standard Bank the first major financial institution worldwide to pilot the Bitcoin system. According to Coindesk.com, the system is awaiting approval from regulators. A Standard Bank spokesman wasn’t immediately able to comment, but has promised feedback later today. Bitcoin is a digital currency introduced in 2009. The “cryptocurrency”, as it is called, uses cryptography for the creation and transferring of money. Bitcoins are generated through a “mining” process, which involves adding transaction records to Bitcoin’s public ledger. The ledger of all past transactions is called a “block chain”, which is a digital footprint of every single Bitcoin and every transaction associated with it. This process is used to distinguish legitimate Bitcoin transactions so the same bitcoins cannot be re-spent. Bitcoins can be obtained through mining or in exchange for products and services, including other currencies. 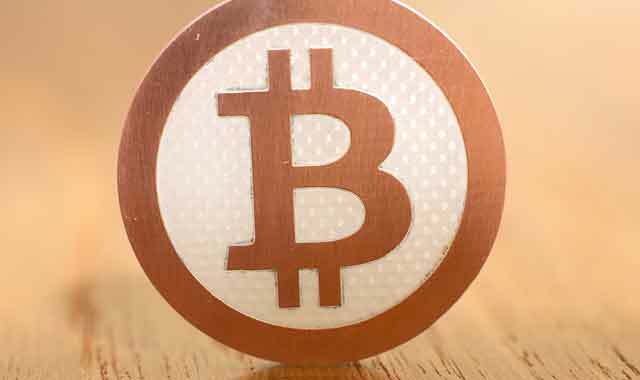 Switchless, which is based in Stellenbosch, owns BitX, a local Bitcoin exchange. 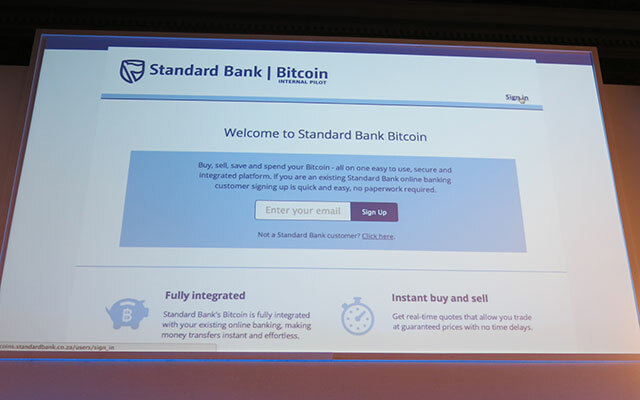 Co-founders Marcus Swanepoel and Timothy Stranex took to the stage at the Finovate event to demonstrate what they’ve done so far for Standard Bank — creating a system that allows the bank’s customers to buy, sell, receive and spend Bitcoins. Switchless says it develops enterprise Bitcoin software for global banks, private wealth managers and brokerage firms, making it easier for them to offer Bitcoins to their customers. “Our internationally mobile teams are highly experienced in the design and implementation of financial software and crypto-currency platforms,” the company boasts on its website. The company says its proprietary modular software allows integration into existing financial infrastructure. Modules include broker, vault, merchant and controller software. The broker module allows end users to buy and sell Bitcoins using regular currencies based on an algorithm that searches for the best prices globally. The vault module allows users to store their currency securely, and the merchant module allows for the receipt of Bitcoins as payment for goods and services.